From the Summer edition of Plentiful Redemption. By Rev. Kevin Milton, C.Ss.R. When I think back 50 years ago when Pope John XXIII called the Second Vatican Council, I remember it was novitiate year when I was preparing to become a Redemptorist. The Council began on October 11, 1962, and I recall the extra time I spent in chapel that day! It would be a different kind of Council. There were no immediate crises to address, as had been the case for previous councils. The hope and prayer of the Council was for the Church to look at various 20th century issues and address them as fully as possible. Simply put, the Council’s goal was to update the Church’s teaching for the present age, in keeping with the call found in page after page of the Scriptures, challenging us to reform and to be renewed in each age! What decisions of the Second Vatican Council affected me the most? Most important for me was the ability to pray and worship God in my own language. I enjoyed praying publically in Latin before the Council, but I felt most comfortable praying in English! 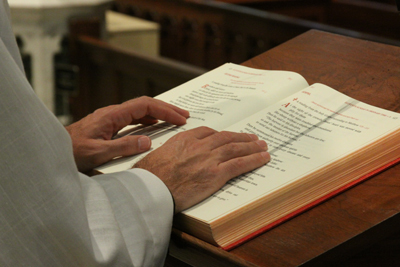 Another development was the increased use of Scripture at weekday and weekend Masses, and in the celebration of the other Sacraments. Over the new three-year cycle, we are exposed to many beautiful passages in both the Old and the New Testaments. The Council ended in 1965, and in the Council’s shadow, I enjoyed four marvelous years of Scripture study at Mount St. Alphonsus Seminary in Esopus, NY. To this day I still cherish what I learned during those years, and I share it at Mass and on other occasions. It was a definite gift that came out of the Council’s Dogmatic Constitution on Divine Revelation. The Council opened a whole new world for me in the area of dialogue among Catholics, Christians and non-believers. In 1954, when my cousin graduated from grade school there was a ceremony in a Lutheran church. I asked my parish priest if I could attend, and he said, “Don’t you dare put your foot in that church.” Years later, after the Council, Cardinal Suenens of Belgium gave a refreshing reflection on the issue. He said, “Catholics and Protestants, as they meet and pray together, some feel that Catholics are becoming more Protestant and Protestants are becoming more Catholic.” He said neither situation was the case. Rather, “It is both groups giving in to the Holy Spirit!” How refreshing and how far we have come in a half-century! The Document on the Pastoral Constitution of the Church in the Modern World drew a fine line between the Church “in the world” and the Church “not of this world.” Furthermore, we were introduced to other ways of describing the nature of the Church that were different from the familiar “Church as Institution.” Cardinal Avery Dulles, SJ wrote what I think is a post-Vatican II classic called, Models of the Church. These models were always there, but weren’t accentuated prior to the Council. Cardinal Dulles suggested these models: the Church as Mystery, Mystical Communion, the Herald of the Good News, as Sacrament, and as Servant. The last chapter in the Dogmatic Constitution on the Church discussed Mary, the Mother of Christ, as Mother and Model of the Church. On a very personal level, I can say we are the Church! Fr. Milton professed vows as a Redemptorist in 1962 and was ordained in 1967. He is currently associate pastor of St. Mary’s Parish in Annapolis, MD.